AU$92,645 IWC Scholarships To Study in Australia – Apply now! Home » Scholarship. » AU$92,645 IWC Scholarships To Study in Australia – Apply now! 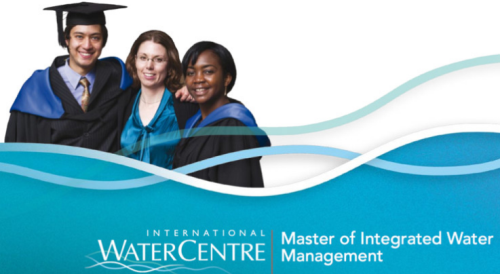 The International Water Centre (IWC) is offering a total of AU$92,645 per student as scholarship funding to finance International Students in the Australia. Particularly those enrolling in Water Management Programme at IWC, 2018. Shortlisted applicants will be notified (via email) on and the Scholarships Selection Panel will make a final decision on successful recipients by 1 November 2017. How to Apply: To apply, you have to complete an online application form before the deadline. More details on the sponsor’s website. The scholarships do not include travel, accommodation, field work, or living costs. These costs will be the responsibility of successful recipients. Recipients are responsible for paying the remainder of the tuition fees each semester and all other associated expenses. Now that all the information about AU$92,645 IWC Scholarships To Study in Australia has been delivered nicely; interested and talented students who are eager to pursue their Free Tuition/Scholarships/Study in Australia for Undergraduate, Bachelors, Postgraduate, Masters, PhD, Associate Degree and Other Degrees, can apply now. Labels: Australia Scholarships, Master's Scholarship, Scholarship.